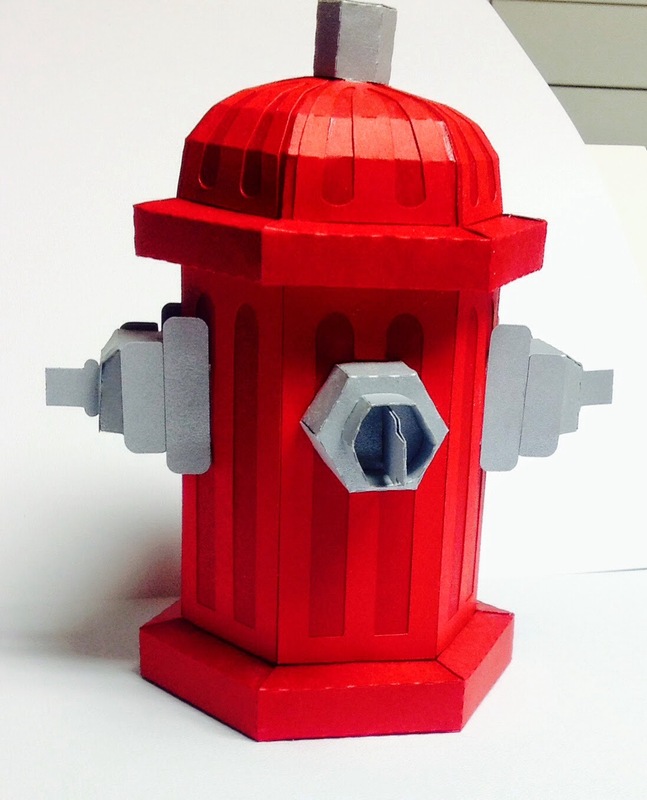 Today I am sharing this super cute 3d fire hydrant box that I created for out joint SnapDragon Snippets - SVGAttic July anything goes contest. I think I just found the theme for my grand son's second birthday party! (He just turned one and the theme was all about construction - I will be sharing more details and pictures from that soon here on my blog). This picture was enhanced on my iPad. 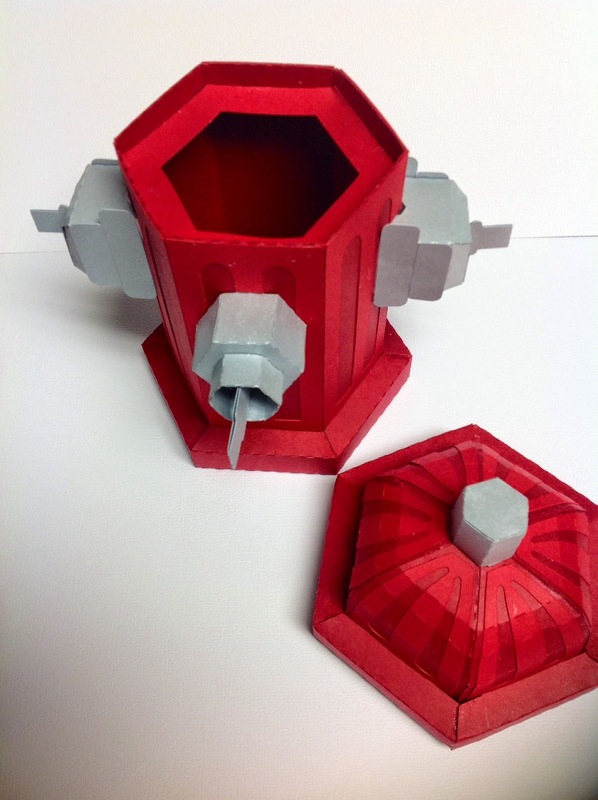 I looks a bit more engine red then the actual color of cardstock I chose to create it with. This picture below reflects the true color best. It opens up to this cute box! Love it! and I think I know just the friend I will be giving this to so that she can give to her retired fireman husband! 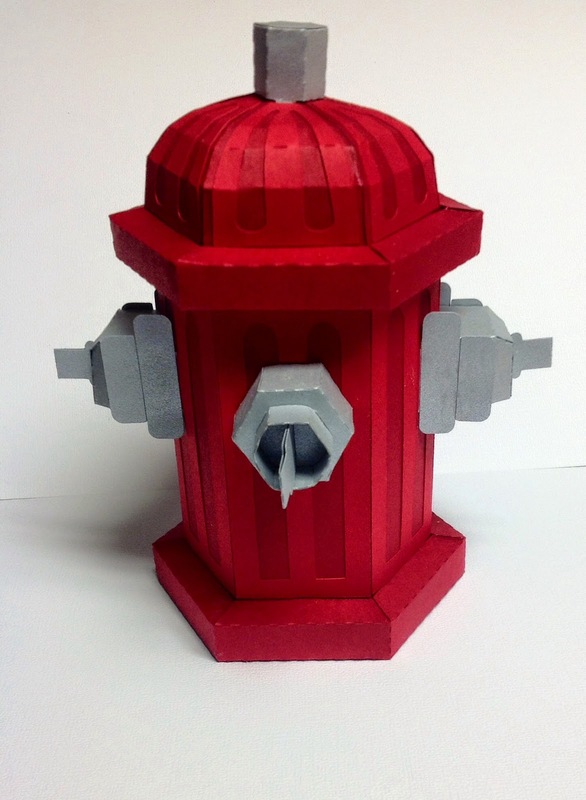 I used two different tones of red cardstock and a silver/shiny one. OK for our contest head on over HERE so that you can see what the Creative design team created for your inspiration and for more details on the prizes! Hope you can join us!